The Patriot (ex. Danielle Marie, Sarajen, Captain Todd) is a steel hulled western rig dragger built in 1997 by Gerry T. Smith of Beaufort, North Carolina. Originally constructed as a shrimper, the 62 foot 44 gross ton vessel now lies in 100 feet of water. 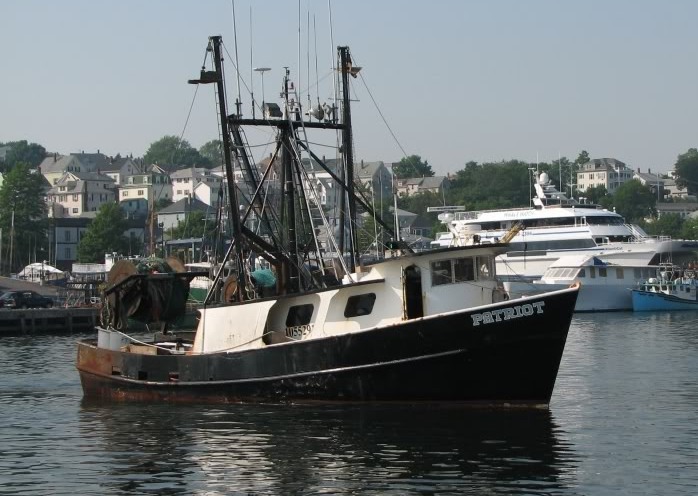 A Coast Guard investigation found that the vessel sank due to a rapid loss of stability. The Coast Guard investigation was subject to much controversy given that there was loss of life associated with the sinking. It was believed that the Coast Guard did not respond quickly and appropriately during the SAR portion of the distress call, and later mishandled the investigation when there was speculation the Patriot may have been struck by a tug and tow. Ultimately, the investigation concluded that loss of stability, likely from being swamped by a large wave, resulted in a capsizing and rapid sinking. There was no evidence observed at the wreck site that suggested a collision or strike. Today, the Patriot rests in 100 feet of water, approximately 18 miles from Salem, MA. The vessel is on it’s starboard side and is completely intact. There are some signs of salvage attempts, but the wreck is otherwise undisturbed. The Patriot is home to abundant marine life typical of the sanctuary, and rests on a bright sand bottom. The area is subject to current, so generally diving occurs at or around slack water. In addition, given this area is known for dragging, there is quite a bit of fishing gear on the wreck–both that belonging to the Patriot, and other draggers that got hung up on the wreck. While this is a very nice dive, please remember the tragic circumstances of the sinking and treat the site with respect.